UMASH and the Minnesota Department of Agriculture (MDA) hosted a one-day working forum to bring together stakeholders from across Minnesota to explore the stress and mental health challenges that farmers, agricultural workers, and their families experience and stimulate new and existing partnerships to identify gaps in community-based programs and health services. A total of 69 attendees represented many sectors important to agriculture, including farmers, farm workers, health care, public health, government agencies, universities, extension service, elected officials, faith-based organizations, philanthropies, and financial intuitions. The overarching goal of the forum was to stimulate new and existing partnerships to identify and respond to gaps in community-based programs and health services. A summary of the forum, including the purpose and objectives, emerging themes, challenges and priorities, approaches, and next steps. In response to a growing concern about the lack of resources and support for farmers, farm workers and families who are facing stress and mental health challenges, UMASH has been working to build partnerships to stimulate innovation and action to address this issue. This page contains information about those partnerships and projects, as well as links to a variety of stress and mental health resources. 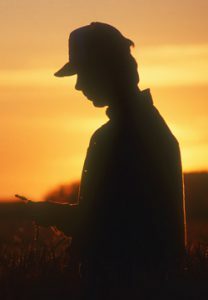 This NEW resource was created as a result of a partnership with UMASH and the Minnesota Department of Agriculture (MDA) to address the emerging issue of stress and mental health challenges facing farmers, ag workers, and their families. The card lists some behavioral and physical signs of stress, as well as tips for what to do if you or someone you know is experiencing stress or mental health challenges. To what extent did people voice what they needed or what they would like in terms of support? Was this a one time deal or were you able to foster and ongoing communication with these people? We understand that rural raised individuals who go into medicine are more likely to go back and practice in the rural area. Can you give us practical examples or scenarios of programs where you successfully get those rurally raised individuals back to practice at home? Ag is one of the rare and unique environments where children are present and are not immune or naive to the stresses of farm life. Do we talk about women marrying into the family dealing with specific unique issues? If you work with families, what might that look like and how would you approach it as a family issue as opposed to individual issue. Do you see potential for that or do you have experience with this? Ag workers face so many challenges. What kind of community based support do we look at or start with? Looks like we have different perspectives with workers and owners – is there a way to deal with the common problem? I have talked with workers and it looks like the owner never knows what it happening with the families. 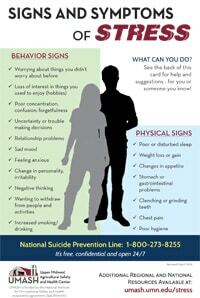 Do you have some dynamic to be close to the worker or do they have the trust to speak about mental problems? How can churches be of service to this whole issue? My colleagues in ministry are willing to help and don’t know what to do. How can we be helpful? We have a concern – these people seem invisible. Corporations that hire people that come from the border – provide housing, work 12 hours a day. What proposal do we have for mental health for these families? When dealing with culturally diverse farmers and migrant workers, what are we doing to break the cultural barriers especially to stigma and shame? Availability: Includes the lack of staffing or shortages of services and resources, which limit the receipt of mental health services and/or limit people’s ability to get help through community based resources or other service channels. Accessibility: Addresses community knowledge and infrastructure regarding where, when, or how to obtain services as well as a lack of coordination across the health and social service system. Affordability: Speaks to the costs associated with receiving and providing care and support (both monetary and opportunity costs). Acceptability: Looks at issues of stigma or the culture of seeking or not seeking assistance for mental health needs. This was beautifully organized and a great place to network and meet people from other organizations. I really appreciate the inclusion of farm workers and the acknowledgement of the impact of immigration on mental health. Well done! There was a good balance of presenting information and allowing time to brainstorm and network. Thank you for the opportunity to address this critical issue with others in ag and healthcare. Develop programs/ resources with other organizations to help decrease stress and increase resilience with special emphasis on women and children. Share my personal experiences on mental health with farmers and farm workers so that the effects of stress can feel more normalized. I will focus more on the people around me, so I am able to see when things aren’t completely right. Meg Moynihan ran the organic program at the Minnesota Department of Agriculture for 13 years and now serves as Senior Advisor on Strategy and Innovation. For the past year or so, she has focused on farm stress issues. Meg previously ran a nonprofit agriculture organization in Michigan and worked as an educator and evaluator. She also served with U.S Peace Corps in Thailand. She and her husband, Kevin Stuedemann, own and operate a diversified 70 cow organic dairy farm in Le Sueur County. In 2016, she took a leave of absence to run the farm singlehandedly, giving her direct experience with the stress, anxiety, burnout and depression that so many farmers experience. Dr. Katelyn Macy is a research associate at the University of Minnesota in the College of Veterinary Medicine. She is a veterinarian with a degree in public health, and her professional interests include food animal preventative medicine, rural agriculture, food security & sustainability, education and workforce planning & development. She is currently working on the USAID-funded One Heath Workforce as well as on the UMASH team, and is a One Health Systems Mapping and Analysis Resource Toolkit (OH-SMART) master facilitator. Linda serves as an international facilitator in the area of emerging infectious disease and is the Director of the Global Food Ventures program. As an international facilitator in the area of emerging infectious diseases, Linda works with government agencies, industries and academic institutions throughout Asia and Africa in building internal capacity to “prevent”, “prepare for”, and “respond” to infectious diseases. In her role as Director of the Global Food Ventures program, Linda is responsible for the operational oversight of the program, to include collaborative research, education, and outreach on issues relating to global food security and safety. Dr. Jeff Bender is a Professor in the School of Public Health and an adjunct professor in the College of Veterinary Medicine. He is currently the Director for the USAID funded One Health Workforce Project, a workforce development program focused on preventing, detecting, and responding to emerging pandemic threats. 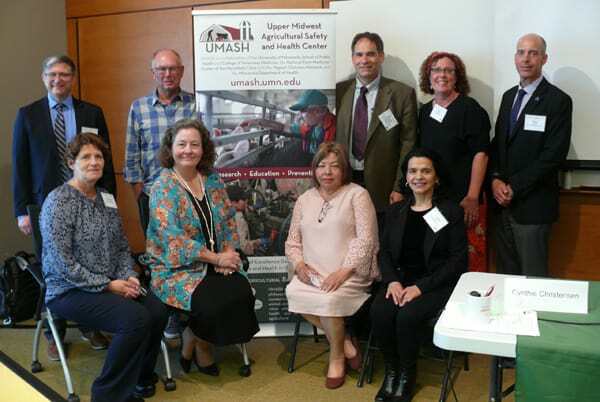 In addition, he is a Co-Director for the NIOSH funded Upper Midwest Agriculture Safety and Health Center (UMASH), a Center focused on improving the health of agriculture workers and their families. His primary teaching and research interests include infection prevention, disease surveillance, emerging zoonotic diseases, occupational safety, food safety and antimicrobial resistance. Doris Mold is Past President of American Agri-Women (AAW) the nation’s largest coalition of women in agriculture. She is an Agricultural Consultant, Agricultural Economist, Educator, Advocate, and Catalyst, as well as a farm co-owner/operator. She is the President of Sunrise Agricultural Associates, LLC an agricultural consulting firm. Her consulting practice has included a broad range of work, including but not limited to management, business and economic analysis, business and transition plan development and coaching, evaluation, marketing, advocacy, leadership, education and organizational development. She also teaches Farm and Agri-Business Management at the University of Minnesota (U of MN) for MAST International. Cynthie Christensen is both a farmer and a licensed therapist with a passion for rural mental health. She has a private practice, Oak Ridge Teletherapy, offering therapy in-person, face-to-face video streaming, and via telephone. For the past 18 years, she has been transforming lives as a psychiatric nurse in an inpatient hospital. Cynthie has been a farmer all her life. She graduated in Class III of the Minnesota Agricultural Rural Leadership (MARL) Program and currently serves as the President of the Houston County Farm Bureau. Gene Hugoson served as Minnesota’s Commissioner of Agriculture from 1995-2011. While commissioner, Hugoson served in various leadership capacities on both the regional and national level of NASDA, the National Association of State Departments of Agriculture. He also has served two terms as a member on the Board of Agriculture & Natural Resources of the National Academies in Washington, DC. Paul Force-Emery Mackie, PhD, LISW is currently Professor of Social Work at Minnesota State University, Mankato and is the Immediate Past President of the National Association for Rural Mental Health. He earned his MSW degree from The Brown School of Social Work at Washington University in St. Louis, and his PhD from the University of Denver. His research focuses on rural behavioral health and social service issues, resulting in the publication of several academic journal articles and two books. He is currently working on rural policy issues at State and Federal levels, and regularly advises agencies and lawmakers seeking to identify and address rural behavioral health needs. Dr. Mackie grew up on his families dairy and hog farm in central Michigan and now resides in Mankato with his wife and two daughters. Gloria Contreras is the former Coordinator of the Health Promoters Program of Centro Campesino that served Latino immigrant agricultural workers and their families in South-Central Minnesota. Currently, Gloria leads Manos Latinas, a cooperative of former agricultural workers and rural Latinas that got involved in the production of “comida saludable” (healthy food) for their families and communities. Manos Latinas was created to improve the quality of food that Latino families consume and to make organic food, free of toxic chemicals, accessible to low-income households. Join the UMASH email list to stay informed about this and other UMASH efforts to improve the health and safety of farmers and their families. Email us at umash@umn.edu to subscribe.